Reading this article, which was later on also published in Sklipkan (the Tarantula), I am amazed at how many beetle species have been bred in Japan already 10 years back. Surely, a lot of new additions and tricks have been developed in the meantime, but all basics were already set at those times. Makes me wanna go to Japan again, meet some old friends, and above all hunt for beetles again. Mount Fuji, photographed from Gotemba side in the early morning, before the clouds came. I have been spending three weeks in Japan (05.07.01 – 26.07.01). Besides the common motives of doing a travel, of course I wanted to catch some stag beetles (above all Lucanus maculifemoratus) and learn something more about the breeding of stag beetles from Japanese breeders. 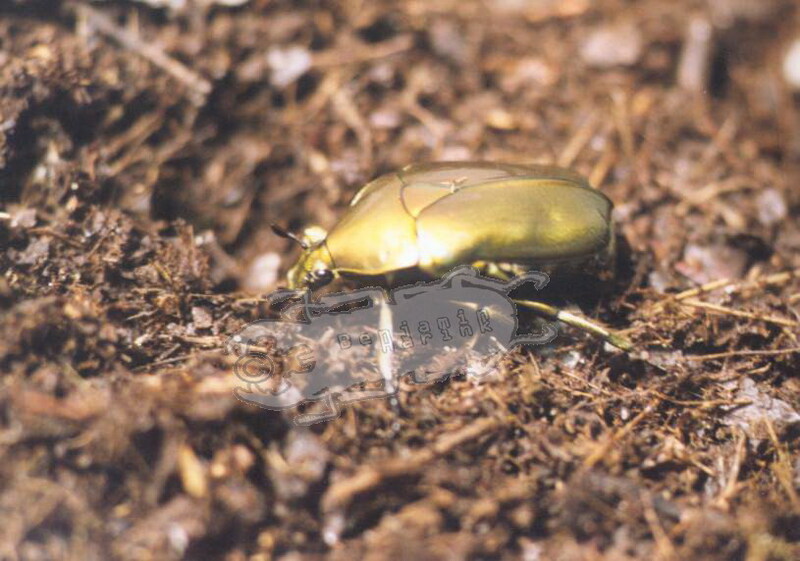 For everybody who doesn’t know yet: Japan is the paradise for every beetle breeder. 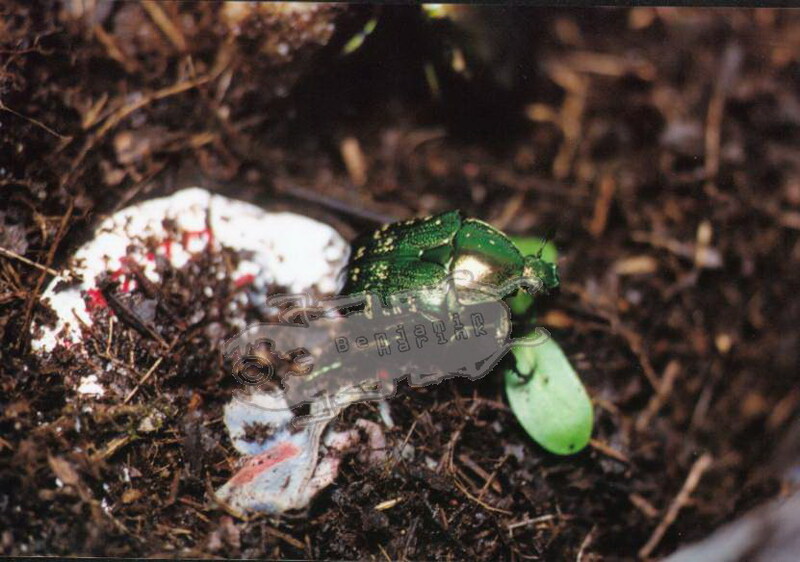 You can easily buy everything that you need for insect breeding (substrate, food, wood, beetles, larvae, etc.) and almost every species (For instance: all subspecies of Dynastes hercules). 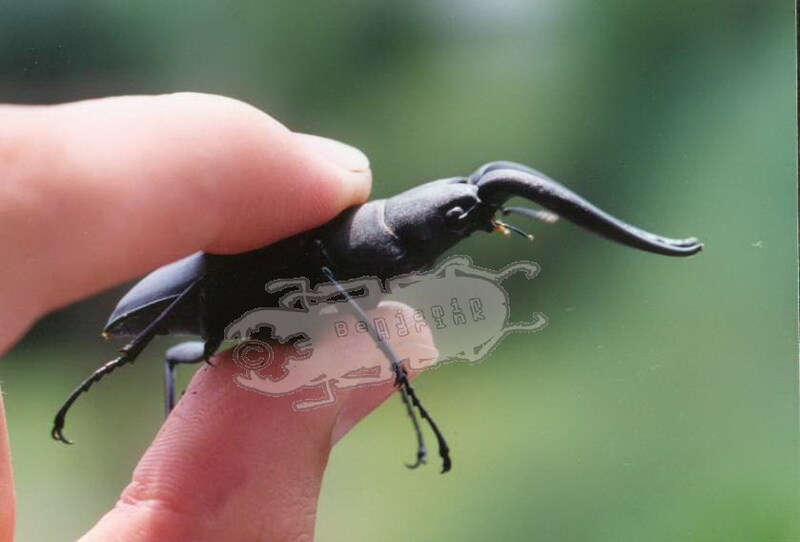 These shops are specialized in beetles and often do not sell any other pets. But you can easily get the things you need for breeding in every pet shop and supermarket, too. The only sad thing are the exaggerated high prices for everything that make the purchase of all this stuff for foreigners almost impossible. Now we come to the route. I arrived on 5th of July in Narita airport, Tokyo. After all formalities, I directly drove to Kamakura in order to relax doing sightseeing and enjoying nature before searching for a place to sleep at night. After ten minutes in Kamakura, I found my first beetles in the Engakuen- shrine: It was a female of Prosopocoilus inclinatus and some Rhomborrhina japonica, Protaetia orientalis. Larvae of some species (Dorcus ssp, Alotopus ssp, etc.) are kept in the so- called Kinshi bottles. The substrate of these bottles consists of sawdust made of oak and beech wood, which is decomposed by a certain species of fungus, called Kinshi. Japanese breeders believe that using Kinshi bottles you are more likely to get real big imagos than in using other breeding methods. Sadly, these bottles are quite expensive (about 1000 Yen = 8,- US per bottle), so I wasn’t able to take some over to Europe. 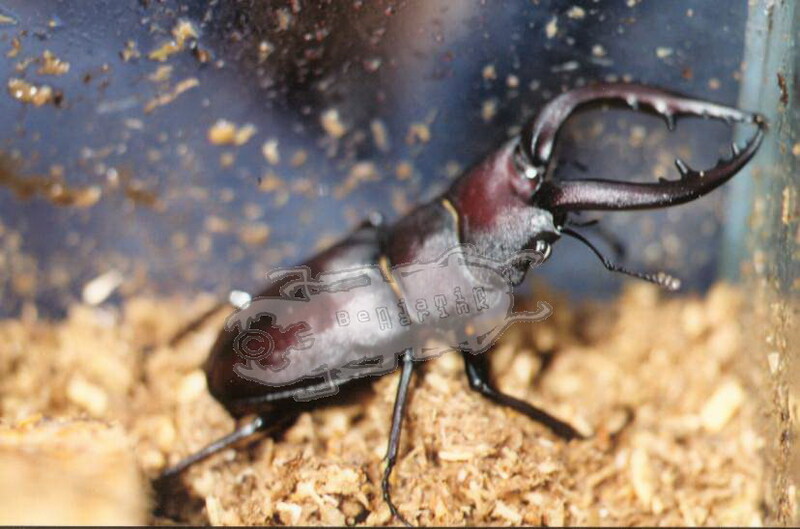 At night we went searching for beetles in a forest near Mino, and here we were very lucky: we caught one male of Lucanus maculifemoratus (Miyama Kuwagata), a pair of Prosopocoilus inclinatus (Nogokiri kuwagata), many Dorcus rectus, some males of Alomyrina dichotoma, as well as many Rhomborrhina ssp. and Protaetia orientalis, and many moths and some Long Horn beetles.